As an expat from New York, what strikes me when I return home is the overwhelming sense of abundance. Every type of food is available at every time of day, all year. However, so much of what we consume is imported or mass produced. As we enter an age of environmental enlightenment, it’s time to reintroduce ways of consuming with a more local footprint. Especially in a city like New York, remaining conscious of the origins of our food is imperative in order to minimize negative environmental impact. Here is where GrowNYC, a community outreach organization serving all five boroughs, enters the picture. If you’ve lived in New York for any length of time you’ll have inevitably found yourself under their influence (hello, Union Square Greenmarket!) but in truth, the founders of GrowNYC started a conversation about sustainability and the environment years before the renowned Greenmarkets were ever a twinkle in their eyes. In 1970, GrowNYC was called the Council on the Environment of New York City (CENYC) and, believe it or not, was a policy-driven initiative. The organization aimed to educate and influence reform by writing comprehensive articles about things like air quality, traffic, and noise to help improve the quality of life for the city’s inhabitants. Today, the focus has shifted to food and nutrition, with a goal of bringing New York-grown food into homes, and it’s an endeavor that feels distinctly full circle. To delve into what GrowNYC’s modern impact really means to citizens, there’s no better source than Bret Csencsitz. 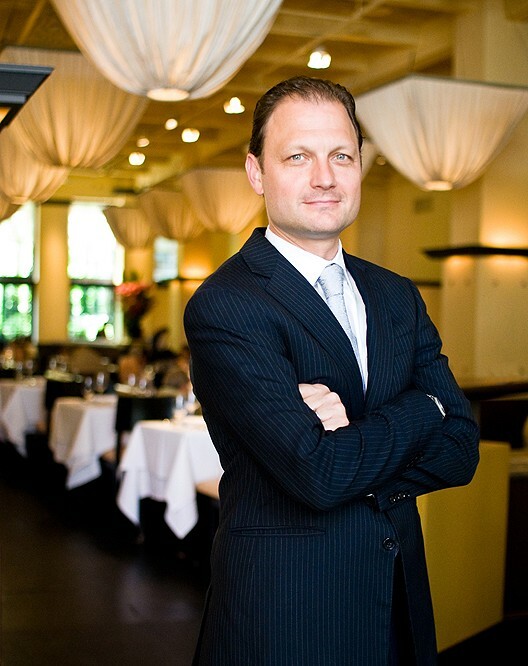 Not only is Bret the Managing Partner at New York City’s iconic Gotham Bar & Grill, but he’s also a GrowNYC board member and passionate supporter of the organization. 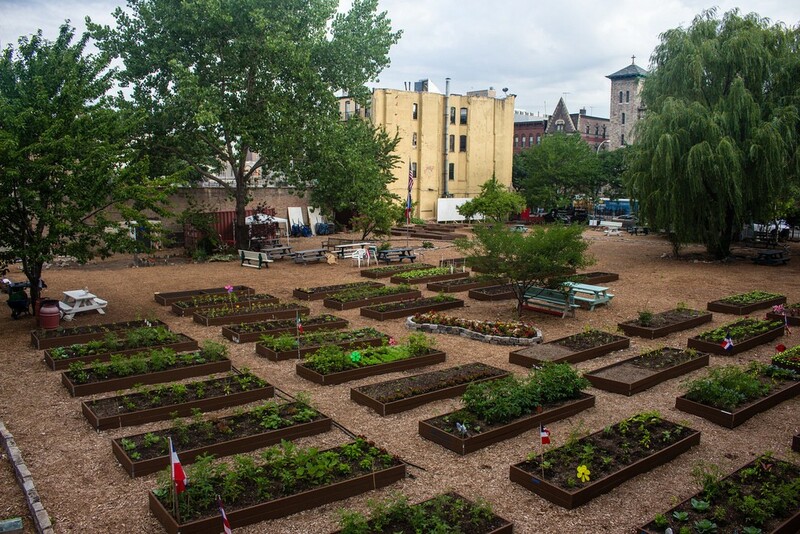 Nooklyn Stories: I’ve been doing a bit of background research about GrowNYC and there seem to be four main initiatives that uphold their mission: Greenmarkets, recycling efforts, gardening programs, and health education. Can you talk a bit about these? Bret Csencsitz: Yes, absolutely. Among their programs, GrowNYC does a lot of education work, like their school garden program.They’ve set a goal of having some type of garden present at every public school in New York City. In fact, this is one of the programs that we, at Gotham, were part of launching. We went up and helped build a school garden in the Bronx and then a community garden in Brooklyn. But there are other programs too, like Learn It, Grow It, Eat It – a youth development and outreach program that works with teens in underserved neighborhoods. Through this program, GrowNYC subsidizes the cost of the vegetables from the farms and gives it to kids to run their own Greenmarket stand in their community. They have to learn about the food and nutrition, run cooking demonstrations, and do all of the accounting and cash reconciliation. It’s a benefit for the neighborhood and an incredible program for the kids to learn from. One thing I like about GrowNYC is that there’s always a market (no pun intended) approach to things. 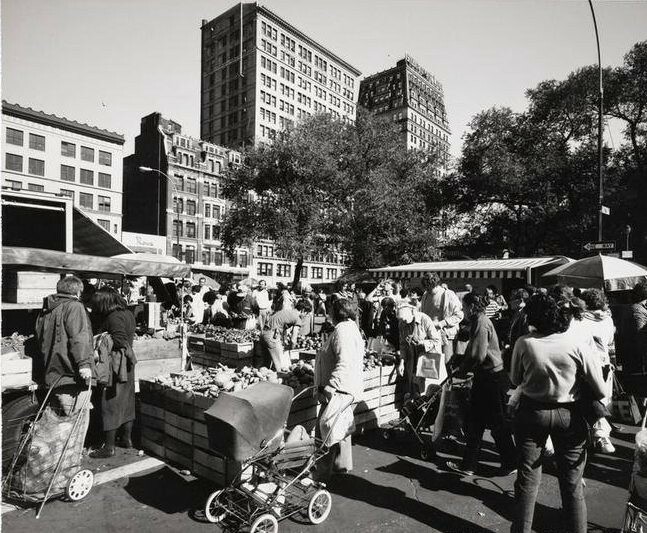 It’s remarkable to think about it now, but the Greenmarkets started 40 years ago at a time when you couldn’t get fresh produce from local New York farms in New York City. Needless to say, the demand was insane and people were fighting over the produce when it arrived. Gardens, for example, is what’s called a black-dirt farm in the Hudson Valley. What was once a bog, was drained generations ago to reveal unbelievably hyper-rich soil. Originally the farm was famous for one thing: onions. But it was one of the first farms to think about diversification when the time came and today Alex Paffenroth, the fifth-generation farmer running the farm, grows up to 200 specialty vegetable varieties. Through this diversification, he’s able to charge retail prices and transport his harvests to the Union Square Greenmarket. There’s a lot of work involved to make it happen but his choice to diversify has allowed him to do well economically, has allowed his family to survive, and has allowed his farm to thrive. That’s not a transition that happens overnight. The story that I find so compelling is that we have all this protection for our natural resources around the country, right? Our watershed is protected by the government… but there’s no real protection for food. If you’re going to protect the water, why wouldn’t you try to protect the growing areas as well? That type of thinking has evolved and will continue to evolve through the support that GrowNYC provides the farms around New York. These farms now sit on a council that establishes standards and regulations for anyone who participates in the Greenmarket, so consumers know what to expect when they purchase – local, organic practices, low pesticides, etc. NS: When I lived in the East Village, my friends and I would have what we called ‘Local Saturday’ every weekend. We’d spend the day in our neighborhood and would go to the Union Square Greenmarket and buy whatever produce and wine we wanted for dinner. We’d only cook what we found at the market itself. It was always a treat and a great way to support our state’s farmers in a fun, community-driven way. (I highly recommend trying this, readers.) That said, I don’t think it ever occurred to me that there was some bigger structure to the market itself. BC: Because the organization has been so mission driven, they’ve underplayed the publicity side. Very few people understand the full impact that GrowNYC has had on the city itself – and their impact is only getting bigger. About 10 years ago, the organization was taken over by the current CEO, Marcel Van Ooyen, who has increased the revenue stream enough to take the organization from a handful of programs to 50 plus. There’s a whole recycling offering, one for education around composting, and now, the latest initiative is the development of a distribution center for local farms so that they can serve more institutions: hospitals, schools, restaurants. Right now, if I want to buy Greenmarket farms’ produce for Gotham, I have to either have a direct relationship with the farmers and they have to deliver their crops to me or I have to go to the market, pick the produce up and pay retail — which is cost prohibitive if we’re going to have value-add for our customers. This regional food hub will advance the creation of a food shed for New Yorkers. Which, you know, ideally we don’t need, but say there’s some type of catastrophe in California (where most of our vegetables are grown)… we’ll have the ability to draw upon our own local agriculture. It’s a way of protecting food resources for the city. Why is that not important? NS: I would argue that that is intuitively important. So how did GrowNYC and Gotham end up together? BC: Chef Portale always found the market as a means of inspiration — looking at the various stalls and produce — and we’ve had various chefs de cuisines that would really utilize the markets. Bill Telepan was a chef here back in the 90s (he has now gone on to his own fame at Oceana) who wrote a cookbook based on the Greenmarket. Throughout various phases of the restaurant, we’d strike up relationships with specific farms, but in 2008, I found out about GrowNYC and their work and I started to get more involved on the restaurant’s behalf. I organized volunteer trips to establish community gardens, we worked with Learn It, Grow It, Eat It, and it went on from there. This was a time when the public was beginning to be more interested in food and the environment, so I thought it was good for us as a business to be supporting an organization that was about food in New York City. Those are the two things that we’ve always been about and it made sense to bring that love to a wider public than just to those who dine with us. NS: It feels very full circle that Gotham — this bedrock of New York — is working to bring the food cycle support back to its city. I would feel very warm and fuzzy if a new restaurant that just opened also worked toward this cause, but to see an established restaurant participate in something like that is amazing. Are other restaurants getting involved? BC: Dan Barber, of Blue Hill, has done a tremendous amount in furthering the understanding and discussion not only about taste but also about policy and nutrition. He really links them all together. It’s not just that this carrot tastes better, but that it tastes better because of the way it was grown, where it was grown and how it’s been processed. 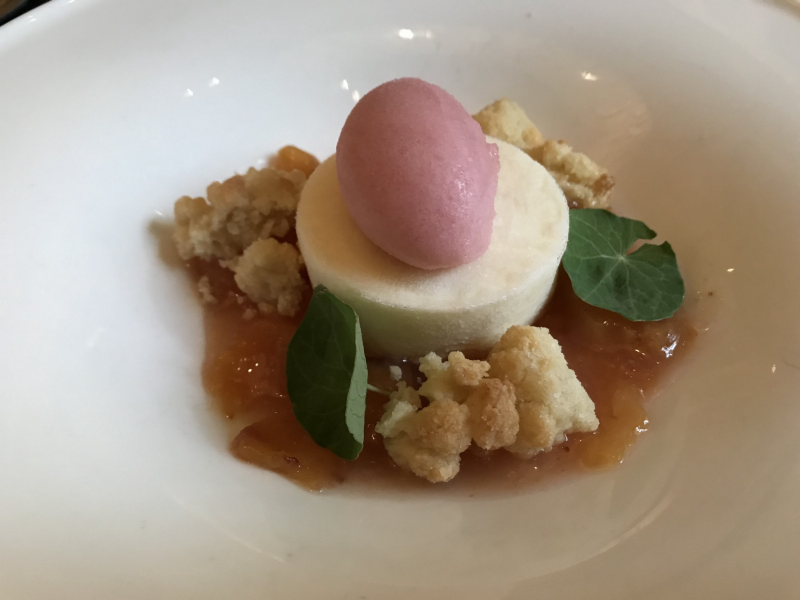 Chef Michael Anthony over at Gramercy Tavern is a big supporter of the markets, as is chef Dan Kluger at Loring Place. He was famous for going through the markets with these big carts. And Bill Telepan, as I mentioned. NS: Do you think it’s accessible for restaurateurs to participate in the Greenmarket or GrowNYC? Is it something that took a long time to establish at Gotham? 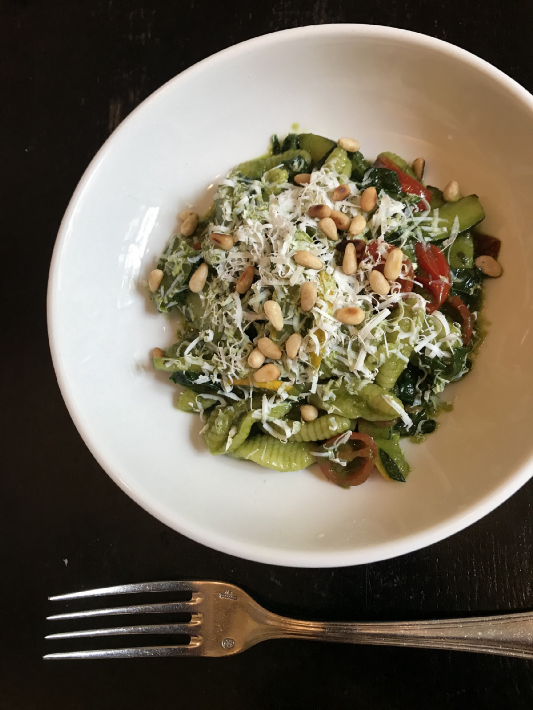 BC: There are lots of ways to support GrowNYC, but a particularly easy way is through our prix fixe lunch menu. 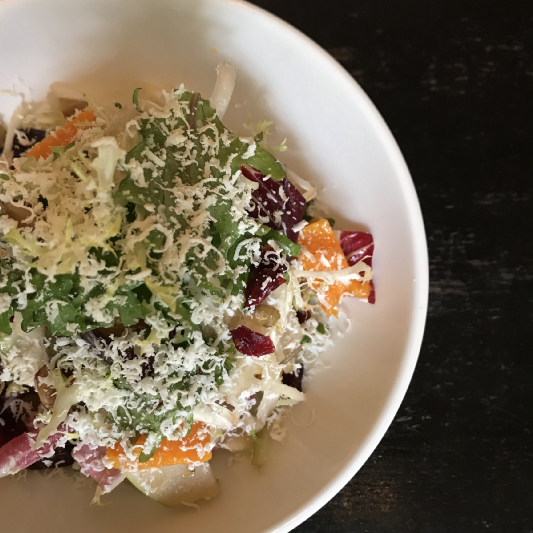 For every lunch menu purchased, $1 goes directly to GrowNYC which serves not only as a donation, but sparks the question about who GrowNYC is and helps to bring awareness to their causes. We’re hoping to get more chefs around the city involved in a similar program. To me, it’s incredibly easy to join in. NS: To that same point, if I as a member of the community want to get involved, is it accessible? BC: Oh yeah, there are plenty of opportunities in all boroughs. Micro-donations are always welcome. There’s also a teaching garden that’s interesting to visit over on Governors Island. That’s really easy and accessible — they run tours for anyone interested in going. NS: As far as supporting Gotham and GrowNYC’s partnership? BC: Our lunch prix fixe is always in support of GrowNYC. It aims to represent the season as dramatically as possible and is inspired by the Greenmarkets themselves. However, everything on our menu is also a la carte, so every diner is ultimately helping Gotham dedicate continued support to the offerings of GrowNYC. Just by eating here, you’re doing good. Treat yourself to a meal at Gotham Bar & Grill or learn more about GrowNYC volunteer opportunities here. Share your thoughts with us by tweeting @nooklyn, reaching out on Facebook or finding us on Instagram @nooklyn.stories!